The “First Squadron,” based at Germany’s historic Lechfeld Airbase, is an integral part of the Luftwaffe’s Fighter Bomber Wing 32. Better known as 321 Squadron, the Lechfeld Tigers began service in 1958 and became one of the first German Squadrons assigned to NATO in 1959. From 1965 through 1984, these celebrated airmen flew the legendary F-104 Starfighter. In 1991, the 321 Squadron became the first operational unit to be equipped with the new ECR Tornado fighter. Flying these sophisticated Electronic Combat and Reconnaissance aircraft, the 321 Lechfeld Tigers became the first German squadron to fly in combat since World War II when they were deployed over Kosovo to protect other NATO aircraft from Serbian surface to air missiles. While the squadron was on patrol, not a single allied aircraft was hit by a Serbian SAM missile. With this illustrious history, it was only natural that the 321 Lechfeld Tigers would want an equally illustrious squadron watch. Beginning in 2002, the squadron began looking for a suitable watch. The search was not easy because pilots and squadron members had different ideas about what they required and what they were willing to pay. 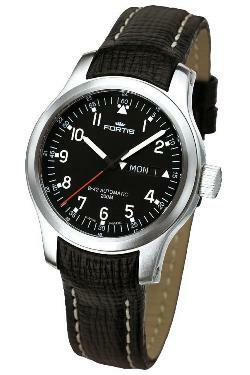 Nobody was satisfied with the squadron’s initial watch choice, and in 2006, they turned to Fortis for a solution. 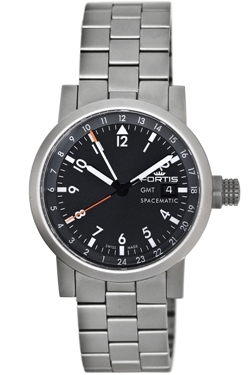 To meet the squadron’s needs, Fortis produced special limited edition squadron versions of the B-42 Pilot Professional and the B-42 Official Cosmonaut. Each of these exclusive watches features a custom dial emblazoned with the distinctive 321 Lechfeld Tigers insignia at the 9 o’clock position along with the squadron’s name above the lower sub-dial. 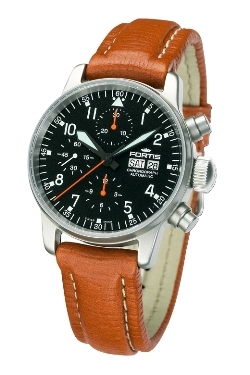 Each watch can be equipped with a leather, stainless steel or caoutchouc strap, depending on the individual airman’s personal choice. Even though these watches are extremely collectable, most members of the squadron aren’t worried about scratches and dings and wear their squadron watch proudly during daily flight duty. 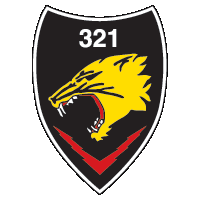 The 321 Lechfeld Tigers have been a full member of the NATO Tiger Association for 15 years. This association of Tiger Squadrons was established in 1961 to promote solidarity between NATO air forces. 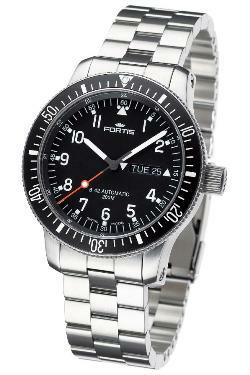 With their strong ties to the Tiger Association, the 321 Lechfeld Tigers have a new Fortis squadron watch in their future. 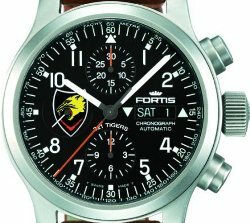 Fortis has been asked to create a special watch to commemorate the first 50 years of the NATO Tigers Association and chances are good that the Lechfeld Tigers will be wearing these watches as well. The Fortis Squadron Program is open to all squadrons and active duty fighting forces from around the world. 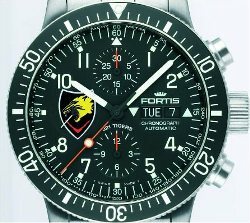 If you would like to have your own pilots and crew wear your squadron insignia with pride, Fortis will make a watch just for you. You can choose from famous watches like the Pilot Professional Day/Date, The Flieger Chronograph, the Spacematic GMT, and even the renowned B-42 Official Cosmonauts Chronograph.